Xató is a typical Catalan dish. 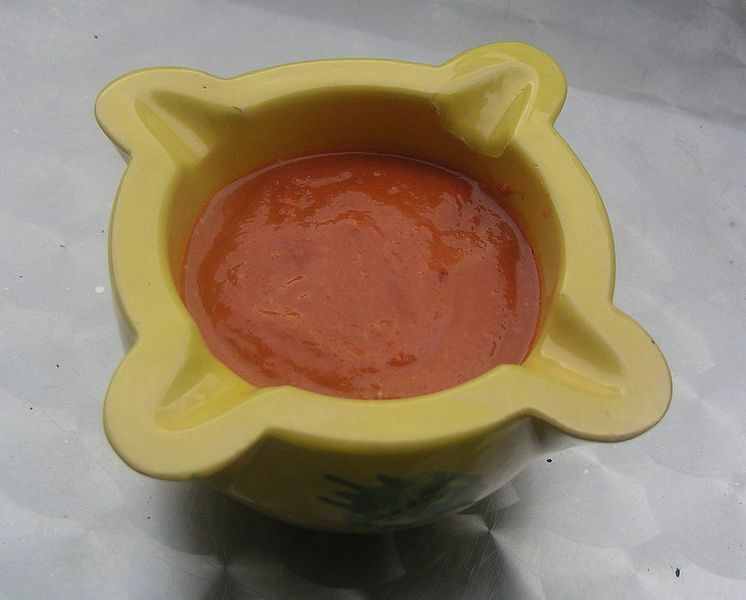 Xató is a sauce made with almonds, hazelnuts, breadcrumbs, vinegar, garlic, olive oil, salt, and the nyora pepper. 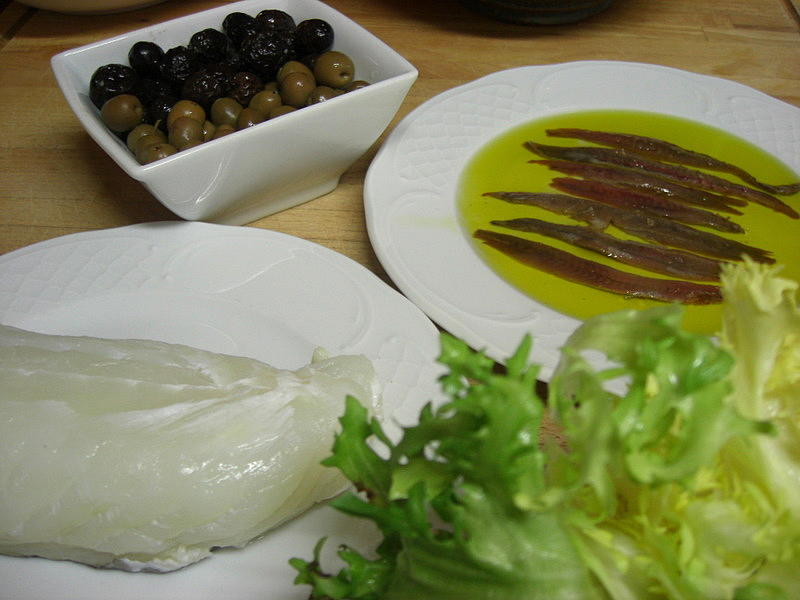 Xató is often served with an endive salad prepared with anchovy, tuna and baccala. The "Xató Route" is formed by the following Catalonian towns: Canyelles, Calafell, Cubelles, Cunit, El Vendrell, Sant Pere de Ribes, Sitges and Vilanova i la Geltrú. There is a recipe for each town of the 'Xató route'. Left: Typical foods to go with xató sauce.